Mohammed and me were thinking in an idea for our final project. We had to apply our just acquired knowledge in Arduino to some idea. Because of our recent success with the liquid cristal screen, we thought we may combine arduino and the LCD to show some useful information on it. Yes, we failed first time with LCD but succeed a week later. We did the “Hello World!” exercise and played with scrolls. Then, Mohammed had a great idea! 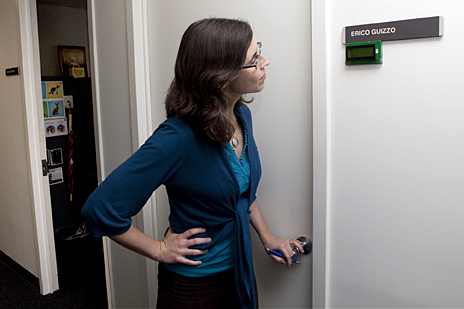 “Why don’t we use a LCD attached to a door to show messages?” We inmediately thought in a teacher’s office. The teacher could send messages like “I’m late” or “I’m not going to work today”. Our original idea was to connect a fixed mobile to arduino and send messages from another mobile. But first of all, we decided to replace the fixed mobile by a computer in order to check things worked. So we divided our project in two main parts: the side from mobile (from which the message is sent) to the computer and the side from the arduino to the screen. For one hand, we had to be able to scroll long messages on the LCD. On the other hand, we had to achieve to send messages from the mobile to the computer. 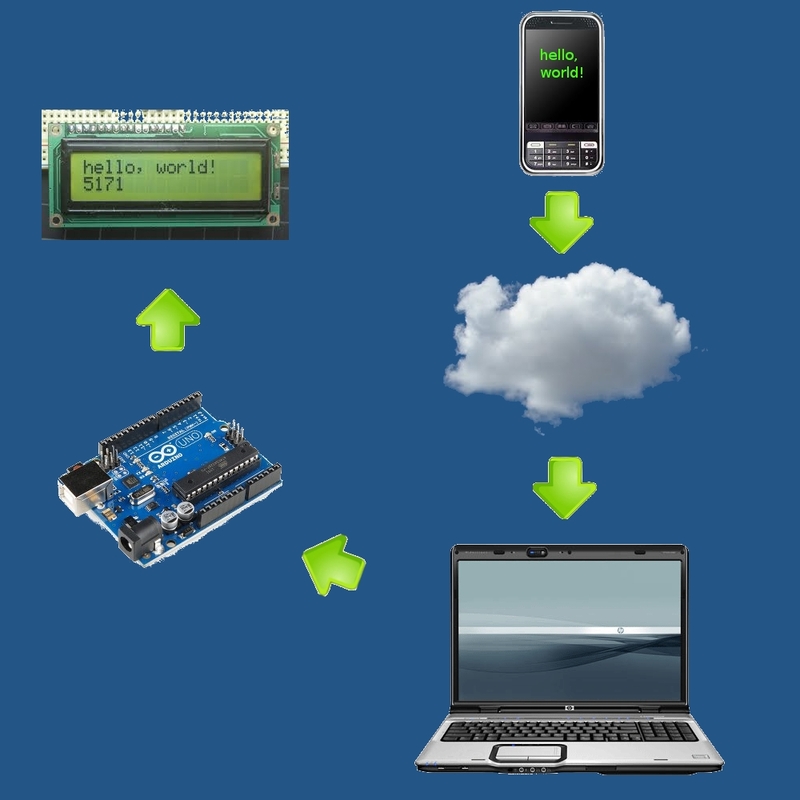 Therefore, the complete cycle would be: mobile, computer, arduino, LCD. However, I won’t deep in this idea because this won’t be the final project.